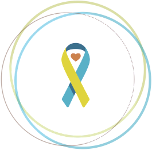 On Saturday, September 30th, the Connecticut Down Syndrome Congress will celebrate its 2017 CDSC Buddy Walk® event at Rentschler Field in East Hartford, Connecticut. Hoping to raise $100,000, the CDSC has 50 teams raising funds to help reach that goal. We had the pleasure of chatting with JoEllen and Tony Stancil, of The ‘A’ Team, to hear about their unique journey in the Down syndrome community. Two years ago, the Stancils were made aware of a young lady with Down syndrome, living in an Eastern European orphanage, through friends who were undergoing the international adoption process. JoEllen and Tony were so touched by this young lady’s story (due to strict adoption guidelines, we aren’t able to publish her name, so we will simply call her “A”) that they made the decision to begin the adoption process to bring A home. The international adoption process is lengthy and expensive; there are home studies, endless paperwork, training and online classes to endure before someone travels overseas to meet the child and attend a court hearing. The Stancils felt so strongly that A belongs in their family that they jumped right into the process. They were able to travel to meet A earlier this year, but they are still waiting to finalize her adoption so they can bring her home. While researching local resources for individuals with Down syndrome, JoEllen came across the CDSC website. She reached out to the organization and learned of the 2015 Buddy Walk®; JoEllen and Tony attended the walk that year, and were able to meet other local families with loved ones with Down syndrome, collect more information, and share their story. They were initially intimidated to attend the walk, as they don’t yet live the day-to-day routine with a child with Down syndrome. However, they felt welcomed and accepted by the CDSC community. The following year, JoEllen attended the walk again, and felt the same gracious acceptance of her presence at the event. 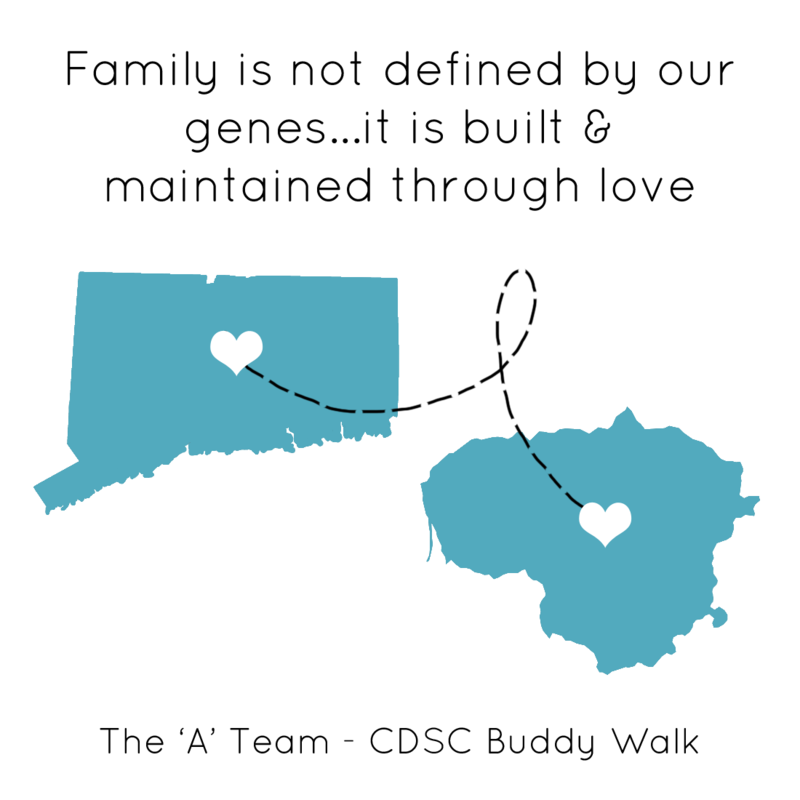 This year, even though A isn’t home yet, they created their own team for the CDSC Buddy Walk®. Because they are very restricted by what they can share about A on social media, fundraising is a bit difficult, but they are hoping that A can join them next year and then they will plan to do more fundraising. They will have a tent set up at the walk this year for their team, with light refreshments, but next year they plan to go all out. They will follow A’s lead, as they are certain that she will have specific ideas as to what she wants to do. By participating in the walk this year, the Stancils hope that their family and friends see that “adoption is an option.” “There are kids with Down syndrome around the world who need homes. Internationally, there are orphanages full of children with disabilities who need families,” Tony explained. The Stancils want people to see them and hear their story, that a couple in their 50s are adopting a teenager, and hope that it inspires other families to consider adoption. “They have value and worth, just like any other human being. They are wonderful people. They need families like those you’ll see at the Buddy Walk.” Even if it’s just one family who makes the connection, the Stancils will feel accomplished in inspiring others to consider adoption. JoEllen’s favorite memory of the Buddy Walk® is meeting the families, and hearing their experiences in raising a child with Down syndrome. By attending the walk, families can realize that they are not alone; there are others with the same daily struggles but also the same daily blessings. We look forward to following along with the Stancils journey, and seeing their celebration next year when A can join them for the 2018 CDSC Buddy Walk®.